Have you ever imagined yourself in the outskirts of Victorian era London? London, a magnificent setting for such an outstanding story - a Victorian London filled with angels, demons, grim reapers, and a 12-year old nobleman out for revenge. 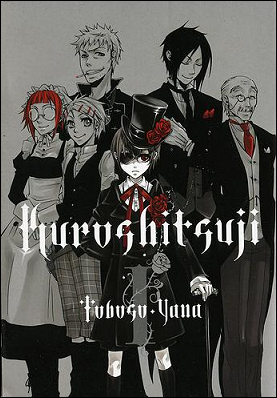 Kuroshitsuji (Black Butler) is a manga written and illustrated by Yana Toboso. An anime adaptation directed by Shinohara Toshiya and produced by A-1 Pictures was released in 2008, and ended with 24 episodes and one OVA (original video animation). 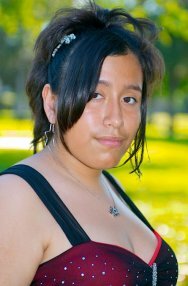 However, the story continues with Season II this summer of 2010 and will run a total of 13 episodes. The series has been licensed in North America by Yen Press and has started to release the manga in English. Funimation has licensed the anime and an English dub will be available for the first season in January 2011. The series follows two characters who are bound by a supernatural contract through several events, leading them to their grand finale. The manor house lying on the outskirts of Victorian era London is the home of our young protagonist, Ciel Phantomhive, the twelve year old head of the Phantomhive noble family and a toy and candy empire. He lost everything he held dear to him on his tenth birthday, and the torture continued from there until one day, holding on to his last breath, he summoned Sebastian Michealis, a demon who would carry out all of his orders in the form of a butler. A sacred contract bound them from that day and would not end until Ciel achieves his ultimate goal of revenge. 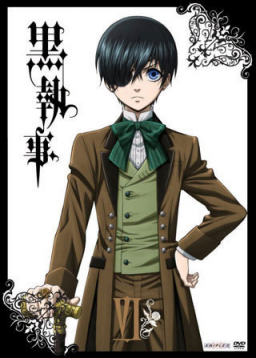 Ciel Phantomhive - He is the current head of the family, son of Earl Vincent and Lady Rachel Phantomhive, known as one of the "Evil Noblemen" and the "Queen's Watchdog". He runs the Funtom Company, which manufactures toys and sweets, with the later addition of a food branch after winning a Royal Warrant. His right eye, usually covered by an eye patch, bears a pentacle, the sign of the Faustian contract he made with the demon Sebastian. The mark is proof of the contract and it is also the mark a demon places on his prey. Before meeting Sebastian, Ciel was a slave and chosen to be sacrificed in a cult ritual. His hatred of torture summoned Sebastian, who was then ordered to kill all the people in the room by his new master. He does not enjoy physical contact and is portrayed as emotionless. Everyone he meets is merely a pawn to him, but he truly hates it when his pawns disobey him, as seen later in the series. In the end, Ciel wants Sebastian to "carve the pain of his life into his soul". Sebastian Michaelis - The demon summoned by Ciel who takes the form of a butler, and once Ciel's goal of revenge is completed Sebastian will kill him and take his soul. Bardroy - Usually referred as Bard, he is the household cook of American descent. He often uses flamethrowers or dynamite to cook which usually leaves the cooking up to Sebastian. Finnian - Often called Finny, he is the gardener of the household. Finny is portrayed as an innocent childlike character with an immense amount of strength. Maylene - She is a clumsy maid with cracked glasses, but refuses to buy new ones since they were the first thing Ciel bought for her. Tanaka - He is the house steward and has served as the head butler under the former Master Phantomhive. Pluto - Also known as the Dog Devil, Pluto is taken to the Phantomhive estate to be well-trained by Sebastian. Madame Red - Angela Durless is Ciel's aunt and sees Ciel as her own son. She at first despised her red hair, but in time she begins to like it. Lau - He is a Chinese noble who is president of the British branch of a Chinese trading company and a friend to the Phantomhive family. He is secretly the head of the Shanghai Mafia and runs an opium den. Lau has his own personal assassin, Ran Mao. Grell Sutcliffe - He is a flamboyant grim reaper who at first works as Madame Red's butler. He refers to himself as a female and has a thing for Sebastian. William T. Spears - Will is a highly ranked death god and belongs to the Dispatch Management Division. Undertaker - He is a funeral director who often works with corpses resulting from movements in the Underworld of England, and acts as Ciel's informant. Elizabeth Middleford - She is a young upbeat girl who is Ciel's cousin and fiancé who loves cute things and wants Ciel to be happy again. Queen Victoria - Then current queen of the United Kingdom who is still mourning after the death of her husband. Fred Abberline - A young officer of Scotland Yard who wants to make England a safer place for young children and wants to be Ciel's ally after learning to trust him. I have only seen the anime and plan to read the manga sometime in the future, but I absolutely loved watching this series. The art is very beautiful and unique, and so is the setting. Everything is drawn with specific detail and each of the characters is unique in both personality and physical appearance. Editor's Note: SPOILER ALERT! Those who have not seen the series may wish to skip this next paragraph. I would like to have seen exactly how Ciel was captured after the death of his parents, what Sebastian's demon form looks like, and exactly what happens at the end of the series. Yana Toboso has given us many twists and spins throughout the series that no one would expect which makes it even more enjoyable. At the end of the series it is obvious what happens - Sebastian finally gets to devour Ciel's soul, but they do not show this scene. The screen goes black and that is the end of it all, but do not fret, since the second season has now come out. Though it does bring up many questions so far, I will be reviewing the second season once all the episodes are out. Kuroshitsuji is honestly a beautiful anime with many life lessons and a rather dark gothic way of presenting these lessons. What I liked the most was one episode where Ciel was left alone in Paris without Sebastian and was not able to do a thing for himself. The audience could see that Ciel is nothing without Sebastian. Ciel is a spoiled rich child of high class, but unlike another character in the series he is much more mature. Though he may be spoiled, he is only spoiled in the sense of power since he can't even tie his own shoes. He is used to having people do things for him and having people fear the name of Phantomhive. Without Sebastian he is any other normal twelve-year-old. I would give this anime series 5 stars out of 5! After all, it does star one hell of a butler...and one hell of a butler's master!